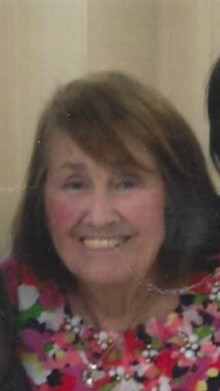 Betty Joyce Thrasher Booth passed away peacefully with her daughters by her side. Betty was a devoted wife and mother and was loved by everyone who had the pleasure of meeting her. She was preceded in death by her husband, Carl Martinez Booth. Betty will be greatly missed by her friends and family. Betty is survived by her daughters, Elizabeth (Ray) Thornton and Margaret Whittelsey; sister, Linda (Tullis) Lanier; grandchildren, Margaret (Michael) Hoffman, Sarah Coleman Whittelsey, John Thornton, Katharine Thornton, Davis Whittelsey, Jr. and Elizabeth Whittelsey and great-granddaughter, Joyce Irene Hoffman. A memorial service will be held on Saturday, December 1, 2018 at 10:00 am at Prince of Peace Catholic Church in Hoover, AL. A time of visitation with the family will begin at 9:00 am at the church. A special thank you to all of her caregivers throughout the years, especially Tracey Philpot, Martha Dowdell, Catherine Martin and Anne Pearson. In lieu of flowers, please make memorial donations to The Alzheimer’s Association or Trinity Episcopal Church in Mobile, AL.